This discovery is amazing, straight out of a Jules Verne's novel: scientists from the University of Oxford, University of Southampton, the National Oceanography Centre, and the British Antarctic Survey have discovered a "lost world" thriving with unknown species under Antarctica, in the East Scotia Ridge. Hydrothermal vents are home to animals found nowhere else on the planet that get their energy not from the Sun but from breaking down chemicals, such as hydrogen sulphide. The first survey of these particular vents, in the Southern Ocean near Antarctica, has revealed a hot, dark, ‘lost world' in which whole communities of previously unknown marine organisms thrive. The researchers—who just published their discoveries on the biology section of the Public Library of Science, a non-profit organization of scientists—were amazed to find so many never before seen species in such large numbers. 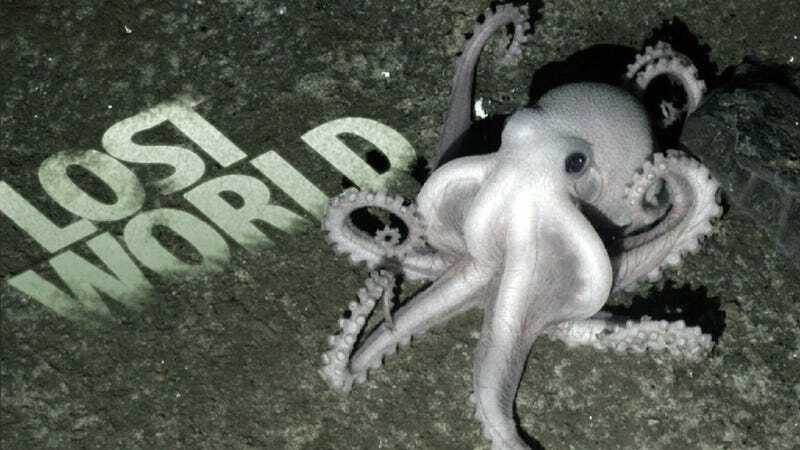 Entire colonies of unknown yeti crabs, anemones, predatory sea stars with seven arms and pale octopus were found, piling on top of the vents, creeping on top of each other, at nearly 7,874 feet (2,400 meters) under the surface of the Southern Ocean. I wonder what this unknown species of pale octopus tastes like. A new species of anemones. This is a colony of a new species of yeti crab. Crab surrounded by unknown gastropods. A seven-arm predatory sea star.